Once Amaya is back in his kingdom, Kavian commands her total sensual surrender in the secluded harem baths. Amaya fears such all-consuming lust makes her weak, but she’s proven she can match his desire. 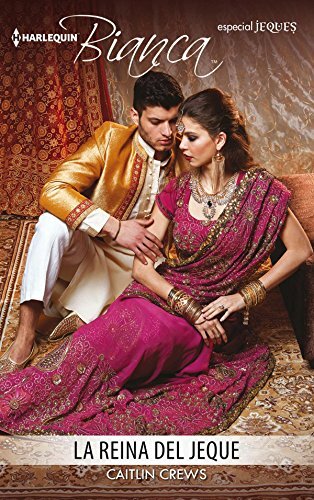 Kavian needs a queen who can endure everything about him—can Amaya face his dark past and embrace her desert destiny? 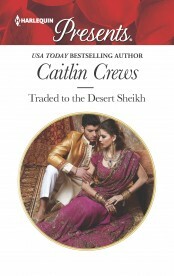 Follow Caitlin's Traded to the Desert Sheikh board on Pinterest. There had been no telltale men with grim, assessing eyes watching her from the shadows. No strange gaps in conversation when she walked into the small coffee shop in a tiny lakeside village in British Columbia. There hadn’t been any of the usual hang-ups or missed calls on her latest disposable mobile phone that signaled her little noose was drawing tight. She had a large mug of strong, hot coffee to ward off the late-autumn chill this far north, where snow was plastered across the Canadian Rocky Mountains and the thick clouds hung low. The pastry she chose was cloyingly sweet, but she ate all of it anyway. She checked her email, her messages. There was a new voice mail from her older brother, Rihad, which she ignored. She would call him later, when she was less exposed. When she could be certain Rihad’s men couldn’t track her. And then she glanced up, some disturbance in the air around her making her skin draw tight in the second before he took the seat across from her at the tiny little café table. As if this were a perfectly casual meeting, here in this quiet café in an off-season lakeside village in a remote part of Canada she’d been certain he couldn’t find. As if he weren’t the most dangerous man in the world to her—this man who held her life in those hands of his that looked so easy and idle on the table between them despite their scars and marks of hard use, in notable contrast to that dark slate fury in his too-gray eyes. 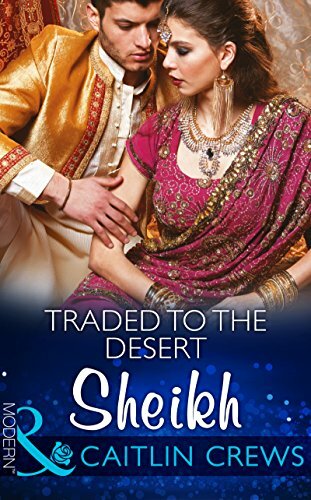 As if she hadn’t left him—His Royal Highness, Kavian ibn Zayed al Talaas, ruling sheikh of the desert stronghold Daar Talaas—if not precisely at the altar, then pretty damn close six months ago. Amaya had been running ever since. She’d survived on the money in her wallet and her ability to leave no trail, thanks to a global network of friends and acquaintances she’d met throughout her vagabond youth at her heartbroken mother’s side. She’d crashed on the floors of perfect strangers, stayed in the forgotten rooms of friends of friends and walked miles upon miles in the pitch-dark to get out of cities and even countries where she’d thought he might have tracked her. She wanted nothing more than to leap up and run now, down the streets of the near-deserted village of Kaslo and straight into the frigid waters of Lake Kootenay if necessary—but she had absolutely no doubt that if she tried that again, Kavian would catch her. With his own bare hands this time. And she couldn’t repress the shiver that swept over her at that thought. Much less the one that chased it, when Kavian’s sensually grim mouth curved slightly at the sight of her reaction. Control yourself, she snapped. Inside her own head. But Kavian looked as if he heard that, too. She hated that some part of her believed that he could. His voice was deceptively calm, something like silken in the quiet of the small café. It did nothing to lessen the humming sort of threat that emanated from that lethal body of his, all harsh muscle and a kind of lean, austere maleness that was as foreign to her as it was oddly, disruptively fascinating. He looked nothing like the local men who had been in and out of this very café all morning, wreathed in hearty beards and thick plaid jackets to fend off the northern cold. Kavian wore unrelenting black, relieved only by those furious slate-gray eyes he didn’t shift from her for a single moment. Black trousers on his tough, strong legs, utilitarian black boots on his feet. What looked like a fine black T-shirt beneath the black bomber jacket he wore half-zipped that managed to show off his granite-hard chest rather than conceal it in any way. His thick dark hair was shorter than she remembered it, and the closer-cut style accentuated the deadly lines of his brutally captivating face, from that warrior’s jaw with the faintest hint of his dark beard as if he hadn’t bothered to shave in days, his blade of a nose and cheekbones male models would have died for that nonetheless looked like weapons on such a hard-hewn face. He looked like an assassin, not a king. Or perhaps a king in hiding as some kind of nightmare. Her nightmare. Either way, he looked catastrophically out of place here, so far across the planet from Daar Talaas, where his rule seemed as natural as the desolate desert and the stark, forbidding mountains that dominated his remote country. Or perhaps the only catastrophe was the way her heart thundered inside her chest, louder by the second. He was like a shot of unwanted, far-too-tactile memory and adrenaline mixed into one, reminding her of the treacherous, unwelcoming desert where she’d been born and where she’d spent the first few years of her life, wrapped up tight in all that sweltering heat, storming sand and blinding, terrible light. She told herself she wasn’t any fonder of Kavian. She didn’t think that was a compliment. Not exactly. Not from this man, with his harsh gaze and that assessing way he looked at her, as if he was sizing her up for structural weaknesses he could then set about exploiting for his own ends. That’s exactly what he’s doing, she told herself. That crook of his mouth again, that made her breath feel choppy and her lips sting, and Amaya was certain he knew full well that she was lying. There was no reason that should hit Amaya like a blow. She was the half sister of the current king of Bakri, it was true. But she hadn’t been raised in the palace or even in the country, as some kind of royal princess draped in tiaras and expectations. Her mother had taken Amaya with her when she left and then divorced the former king—Amaya’s father—and Amaya had been raised in her mother’s painful whirlwind of a wake. A season here, a season there. Yachts in the south of France or Miami, artistic communes in places like Taos, New Mexico, or the beach resorts of Bali. Glitzy cities bristling with the rich and famous in their high-class penthouses and hotel suites, distant ranches ringed with fat, sleek cattle and more rustic interpretations of excessive wealth. Wherever the wind had blown Elizaveta al Bakri, wherever there were people to adore her appropriately and pay for the privilege, which Amaya had come to understand was her mother’s substitute for the love her father hadn’t given her, that was where they’d gone—as long as it was never, ever back to Bakri, the scene of the crime as far as Elizaveta was concerned. 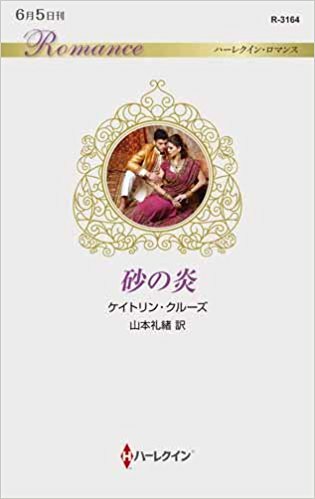 That Amaya had returned to the country of her birth at all, much less because Rihad had prevailed upon her after their father had died and somehow gotten into her head with his talk of her birthright, had caused a distinct rift between Amaya and her mother. Elizaveta had been noticeably frosty to her only child since the old king’s funeral, which Amaya had attended and which had been, in Elizaveta’s view, a deep betrayal. Amaya understood. Elizaveta still loved her lost king, Amaya was sure of it. It was just that Elizaveta’s thwarted love had grown more than a little gnarled and knotted over all these years, becoming indistinguishable from hate. But there was no point thinking about her complicated relationship with her mother, much less her mother’s even more complicated relationship with emotions. It solved nothing—especially not Amaya’s current predicament. Or what Kavian viewed as her responsibilities. The world, so still already since he’d sat across from her, shrank down until it was nothing but that flame of sheer, crackling temper in his dangerous gaze. Gray and fierce. Piercing into her, beneath her skin, like a terrible burning she could neither control nor extinguish. It seared through her, rolling too fast, too unchecked, too massive to bear. Something flickered behind that fierce gaze of his, she thought—though she didn’t want to know what it was, what it meant. She didn’t want to imagine who he really was. Not when he was so overwhelming already. Kavian moved then, and that was worse than his alarming stillness. Far worse. He rose to his feet with a lethal show of grace that made Amaya’s temples pound, her throat go dry. Then he reached down, took her hand without asking or even hesitating and pulled her to her feet. And the insane part was that she went. She didn’t fight. She didn’t recoil. She didn’t even try. His hand was calloused and rough against hers, hot and strong, and her stomach flipped, then dropped. Her toes arched in the boots she wore. She came up too fast and once again, found herself teetering too close to this man. This stranger she could not, would not marry. This man she could not think about without that answering fire so deep within. “Let go of me,” she whispered. His voice was still calm, but she was closer to him now, and she felt the rumble of it like a deep bass line inside her. His skin was the color of cinnamon, and heat seemed to blast from him, from his hand around hers and his face bent toward her. He was bigger than she was, tall enough that her head reached only his shoulder, and the fact that he’d spent his whole life training in the art of war was like a living flame between them. It was written deep into every proud inch of him. She could see the white line of an old scar etched across the proud column of his throat, and refused to let herself think about how he might have come by it. He was a war machine, this man. Kavian is of the old school, in every meaning of the term, her brother had told her. She’d known that going in. She couldn’t pretend otherwise. What she hadn’t realized was how it would affect her. It felt as if she were standing too close to a wicked bonfire, her face on the verge of blistering from the intense heat, with no way to tell when the wind might change. Kavian tugged on her hand, bringing her closer against his chest, then bending his head to speak directly into her ear. And she shook, as much from the sensation of his breath against her ear as the words he used. Or maybe it wasn’t either of those—maybe it was that he was holding her against that body of his again, and she was still haunted by what had happened the last time. What she hadn’t done a single thing to stop—but that was desert madness, nothing more, she told herself harshly. She had no choice but to believe that. It was the only thing that made any sense. She yanked herself back from him, out of his grip, and it wasn’t lost on her that he let her go. That he had been in control of her since the moment he walked into this café—or before, she realized as her stomach flipped over inside her again and then slammed down at her feet. It must have been before. Amaya looked around a little bit wildly and realized—belatedly—that the café was unusually empty for the early afternoon. The handful of locals who remained seemed to have studiously averted their gazes in a way that suggested someone had either told them to do so or compensated them for it. And she could see the two brawny men, also in head-to-toe, relentless black, standing at the front door like sentries and worse, the sleek black SUV idling at the curb outside. Waiting. He only gazed back at her as if he were made entirely of stone and could do so forever—and would, if it was required. As if he were a monolith and as movable. “How long have you been studying me?” Amaya managed to scrape out, her heart right there in her throat. She was surprised he couldn’t see it. And Kavian smiled then, a quirk of his absurdly compelling mouth that made her doubt her own sanity. But there was no doubting the way it wound in her, tightening the knot in her belly, making her feel unsteady on her feet. She had the strangest notion that he knew it. He almost laughed. She saw the silver of it in his gaze, in the movement of that mouth of his, though he made no sound. Again, that smile, dangerous and compelling and world-altering at once. The essence of Kavian, boiled down to that small quirk of his too-hard mouth.